Kenneth W. Stallard Collection, c. 1875-2004. Sullivan County Manuscript Collection 0063. The collection was donated by Kenneth W. (Kenny) Stallard to the Archives and History Division, Sullivan County Department of Archives and Tourism in November 2004. Collection may be used for personal research only; collection may not be copied en masse. There are no other restrictions on use of this manuscript collection for research purposes. It is the responsibility of the individual user to ascertain copyright restrictions, obtain permissions and to prepare proper citation and credit statements. The researcher assumes all legal responsibility for observing laws of copyright and common law literary rights. Kenneth W. Stallard Collection. MSS 0063, Archives and History Division, Sullivan County Department of Archives and Tourism, Blountville, Tennessee. The Kenneth W. Stallard Collection is comprised of 59 CD-ROMs pertaining to history and genealogy in Sullivan County, Tennessee and Scott County, Virginia. 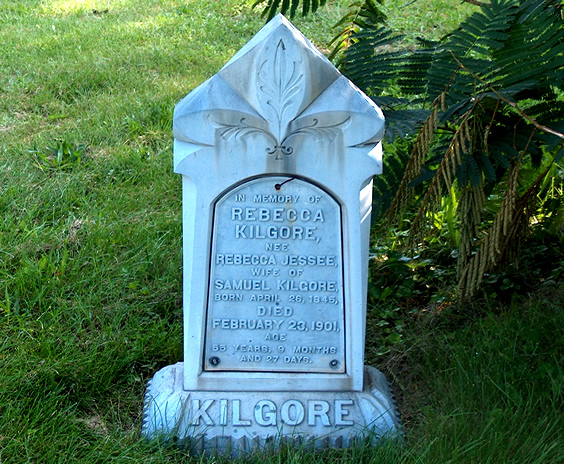 Major focus is placed on photographs of tombstones in the aforementioned areas. Also included are images of area high school yearbooks, and some articles on regional history. CD-ROM - Images of tombstones, Depew's Chapel, Sullivan Co., TN. CD-ROM - Images of tombstones, Acuff Chapel, Sullivan Co., TN. CD-ROM - Images of tombstones at Oak Glen Cemetery & Prospect Cemetery, Scott Co., VA.
CD-ROM - Images of tombstones at Arcadia Cemetery, Sullivan Co., TN. CD-ROM - Images of tombstones at Central Heights Community cemeteries, Sullivan Co., TN. CD-ROM - Images of tombstones in various cemeteries, Scott Co., VA.
CD-ROM - Images of tombstones at Lawson Confederate Cemetery, Scott Co., VA.
CD-ROM - Images of tombstones, various cemeteries, Sullivan Co., TN. CD-ROM - Images of tombstones, Blountville Cemetery, Sullivan Co., TN. CD-ROM - Images of tombstones, various cemeteries, Scott Co., VA.
CD-ROM - Images of tombstones, Lovelace Cemetery, Greene Co., TN. CD-ROM - Images of tombstones, East Carter's Valley, Scott Co., VA.
CD-ROM - Images of tombstones, Pleasant Grove Cemetery, Sullivan Co., TN. CD-ROM - Images of tombstones, Morrison Chapel Cemetery, Sullivan Co., TN. CD-ROM - Images of tombstones, various cemeteries, north side of Kingsport, Sullivan Co., TN. CD-ROM - Images of tombstones, Sullivan Gardens, Sullivan Co., TN. CD-ROM - Images of tombstones, along Bloomingdale Pike, Sullivan Co., TN. CD-ROM - Images of Sullivan High School 1941 Yearbook, Sullivan Co., TN. CD-ROM - Images of Sullivan High School 1941-1942 Yearbook, Sullivan Co., TN. CD-ROM - Images of Sullivan High School 1943-1944 Yearbook, Sullivan Co., TN. CD-ROM - Images of Sullivan High School 1945-1946 Yearbook, Sullivan Co., TN. CD-ROM - Images of Sullivan High School 1947-1948 Yearbook, Sullivan Co., TN. CD-ROM - Images of Sullivan High School 1949-1950 and 1951-1952 Yearbooks, Sullivan Co., TN. CD-ROM - Images of Sullivan High School 1953-1954 and 1955-1956 Yearbooks, Sullivan Co., TN. CD-ROM - Images of Sullivan High School 1957-1958 and 1959-1960 Yearbooks, Sullivan Co., TN. CD-ROM - Images of Kingsport High School 1920 Yearbook, Sullivan Co., TN. CD-ROM - Images of Kingsport High School 1925 Yearbook, Sullivan Co., TN. CD-ROM - Images of Kingsport High School 1926 Yearbook, Sullivan Co., TN. CD-ROM - Images of Dobyns-Bennett High School 1927 Yearbook, Sullivan Co., TN. CD-ROM - Images of Dobyns-Bennett High School 1928 Yearbook, Sullivan Co., TN. CD-ROM - Images of Dobyns-Bennett High School 1929 Yearbook, Sullivan Co., TN. CD-ROM - Images of Dobyns-Bennett High School 1930 Yearbook, Sullivan Co., TN. CD-ROM - Images of Dobyns-Bennett High School 1931 Yearbook, Sullivan Co., TN. CD-ROM - Images of Dobyns-Bennett High School 1932 Yearbook, Sullivan Co., TN. CD-ROM - Images of Dobyns-Bennett High School 1933 Yearbook, Sullivan Co., TN. CD-ROM - Images of Dobyns-Bennett High School 1935 Yearbook, Sullivan Co., TN. CD-ROM - Images of Douglas High School 1959 Yearbook, Sullivan Co., TN. CD-ROM - Images of Douglas High School 1962 Yearbook, Sullivan Co., TN. CD-ROM - Images of Lynn View High School 1949-1959 Yearbooks, Sullivan Co., TN. CD-ROM - Images of Lynn View High School 1960-1969 Yearbooks, Sullivan Co., TN. CD-ROM - Images of Lynn View High School 1970-1980 Yearbooks, Sullivan Co., TN. CD-ROM - Images of "Lynxfire", 1986 [Flip Album format]. CD-ROM - Iimages of Ketron High School 1955-1968 Yearbooks. CD-ROM - Images of Ketron High School 1969-1980 Yearbooks, Sullivan Co., TN. CD-ROM - Iimages of "Wings Over Kingsport", Sullivan Co., TN. CD-ROM - Images of "History of City of Kingsport and Bloomingdale Area", Sullivan Co., TN. CD-ROM - Images of "Remembering Kingsport's Vietnam Casualties", Sullivan Co., TN. CD-ROM - Images of Rotherwood, Netherland Inn, and Old Kingsport, Sullivan Co., TN. CD-ROM - Images of "A Brief Account of the Life and Death of William E. Ketron", Sullivan Co., TN. CD-ROM - Images of Kingsport Church Circle, Kingsport, Sullivan Co., TN. CD-ROM - Images re Rotherwood and Netherland Inn, 1927 Kingsport Times, Kingsport, TN.